World political map. 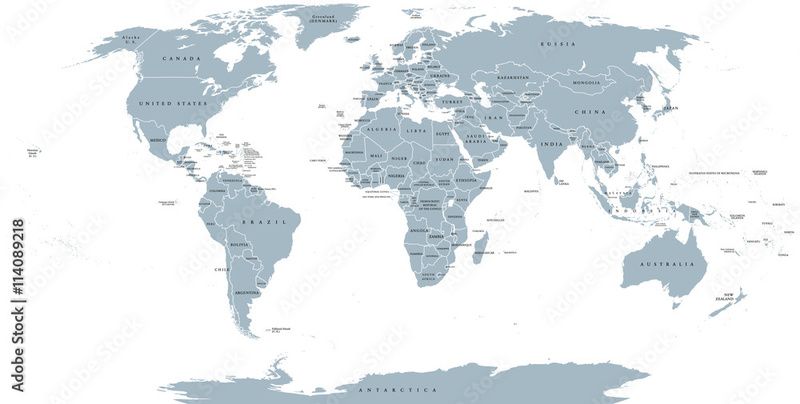 Detailed map of the world with shorelines, national borders and country names. Robinson projection, english labeling, grey illustration on white background.